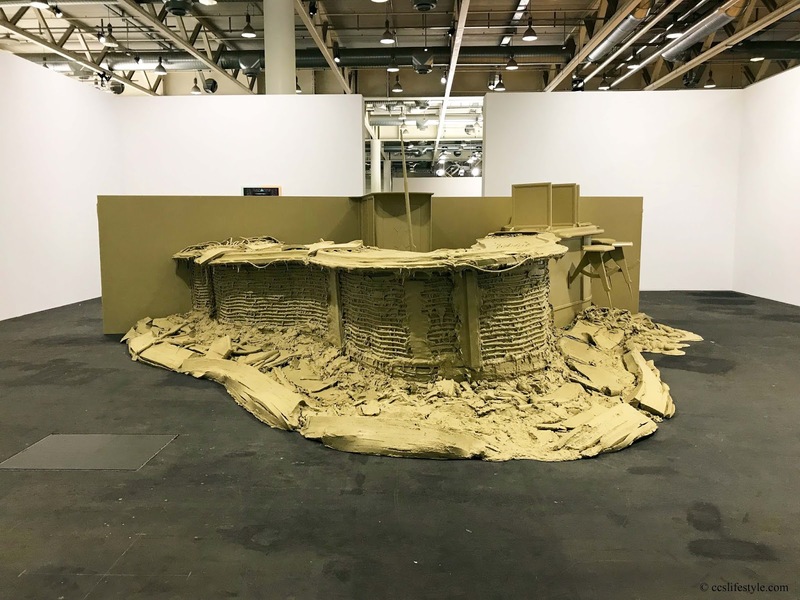 The 49th edition of the art Basel creates once again opportunities to help galleries succeed in a place, where all curators can meet. 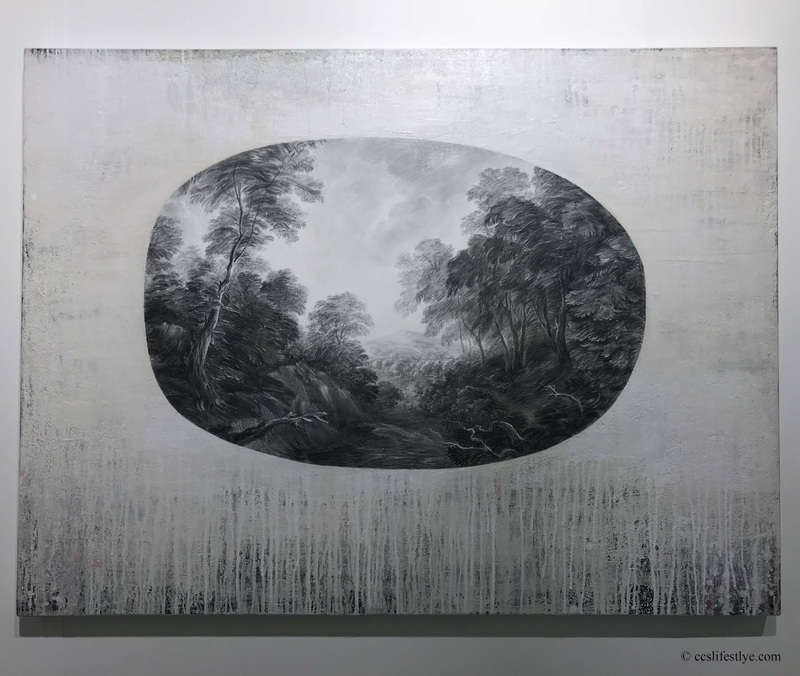 This year we saw 290 great galleries from more than 35 countries. 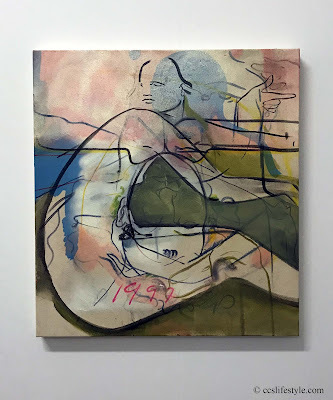 One of our highlights was once again the Art Unlimited, it is amazing how many artists actually show up at the show and how dedicated they are to their art and to reach almost perfection. 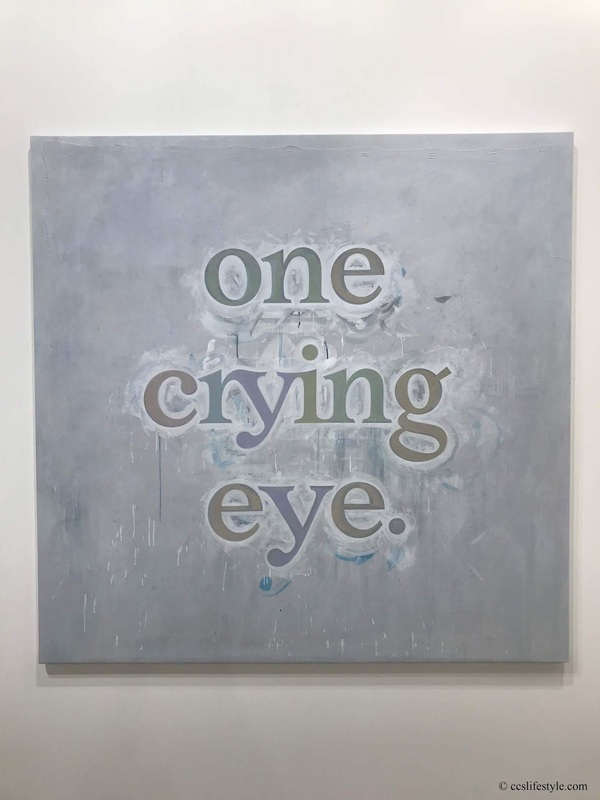 We take so many impressions with us after this week and we are looking back on this years art Basel with one smiling and one crying eye. To see the whole beauty of Jim Hodges the narrow gate, you have to look at it from two sides. It was specially created for the artists first exhibition "turning pages in the book of love". 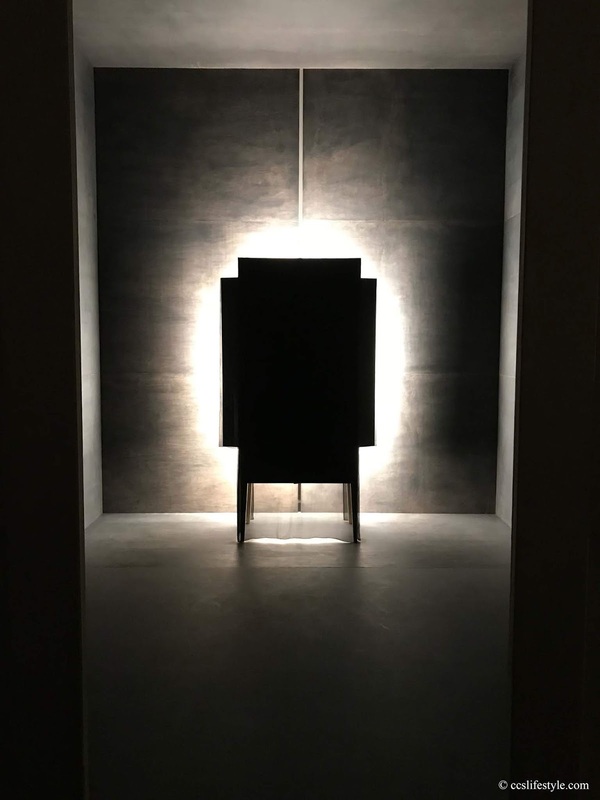 It consists of a room within a room, and if you look at it from one side you only see a wooden crate that is illuminated. 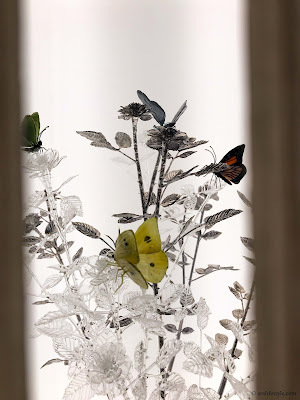 Already this creates a kind of mysterious atmosphere and when you walk around it and look through the crack of the wooden crate you can see a fragile glass rose tree that is surrounded by butterflies. 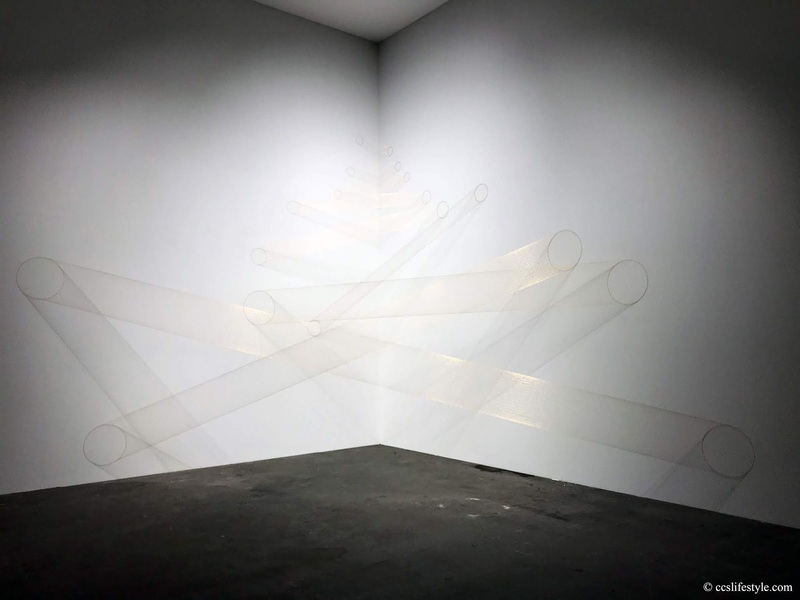 After the strong contrasts of darkness and light from the other side, this view seems even more delicate and precious and we love how this installation gives us the feeling that there is more to things than what you see at first sight. Ttéeia 1, B by Lygia Pape is one of the works that best synthesizes her artistic process. 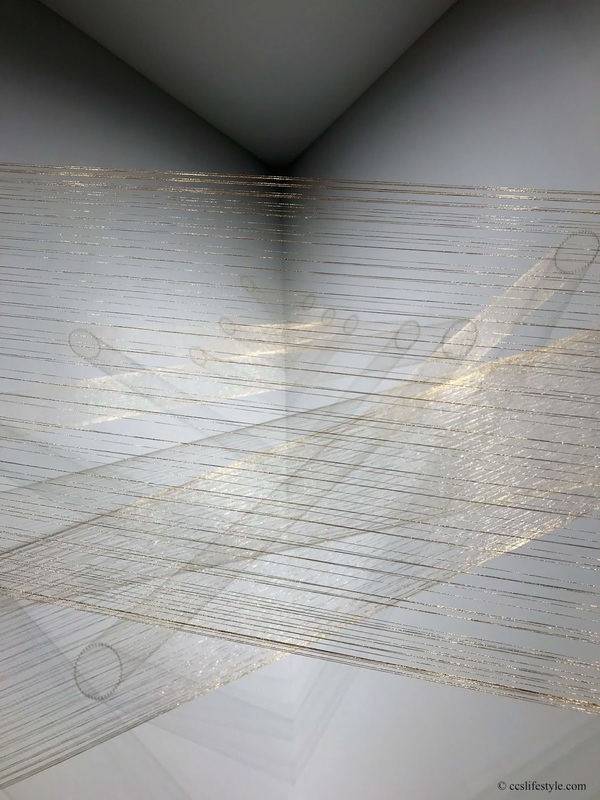 Constructed by the geometric installation of goldthreads, Ttéia 1, b creates an incredibly powerful visual effect and charges the space with a sense of the indefinable, the immaterial. The word Ttéia is an elision of the Portuguese word for web and teteia, a word for a graceful and delicate person or thing. 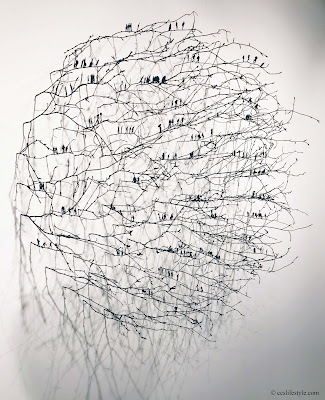 This installation is so delicate and at the same time so strong and sharp, the closer you get the more you see how fine each of the threads is and the further away you stand the more you can let the whole construction work its magic. Antoine's Organ consists of a black steel construction that is filled with mainly plants but also books, and other objects. 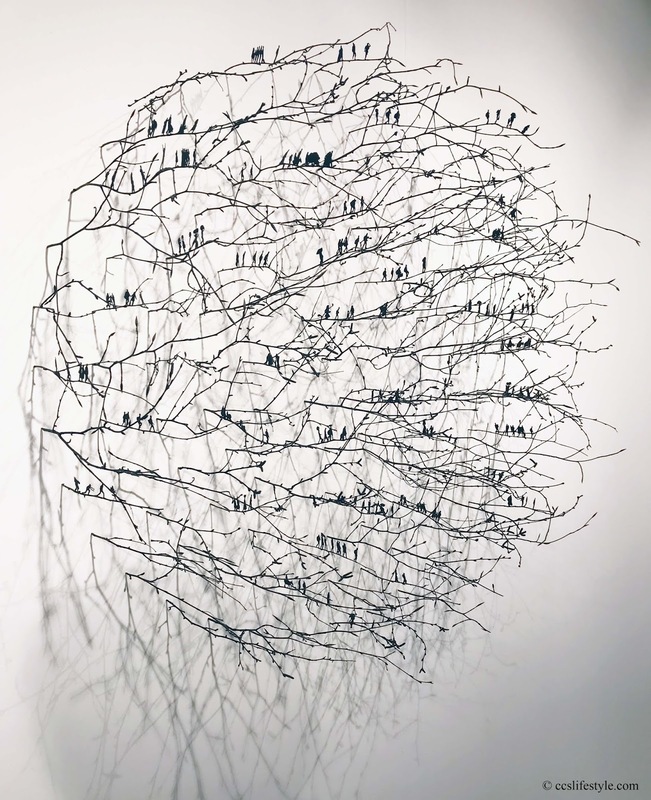 In the centre of this sculptural installation there is a fully functioning piano and the pianist a music producer Antoine Baldwin who is playing it. You don't see that at first sight because the view is blocked by all the plants, but you can always hear it. The music together with the green of these all these plants that create an almost jungle-like atmosphere, has something magical, fascinating and very relaxing. In his work from 1980 Claude Viallat uses military awning on which he printed his signature pattern, consisting of the same repeated symbol resembling a small bone. 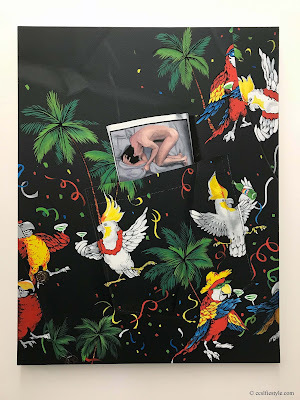 Since 1982 when it was showed at the Pompidou it was never exhibited again until now at the Art Unlimited 2018. 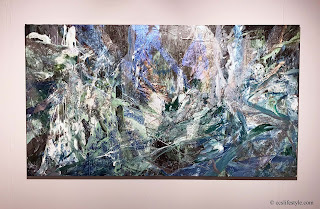 This is one of Viallats most spectacular pieces, the mere size of it is impressive and all the triangles seem to point at the viewer when he stands directly in front of it which makes it seem more narrow to the center and open up more and more towards the further out it goes not only because of the triangular shape but also because of how the three elements are arranged. 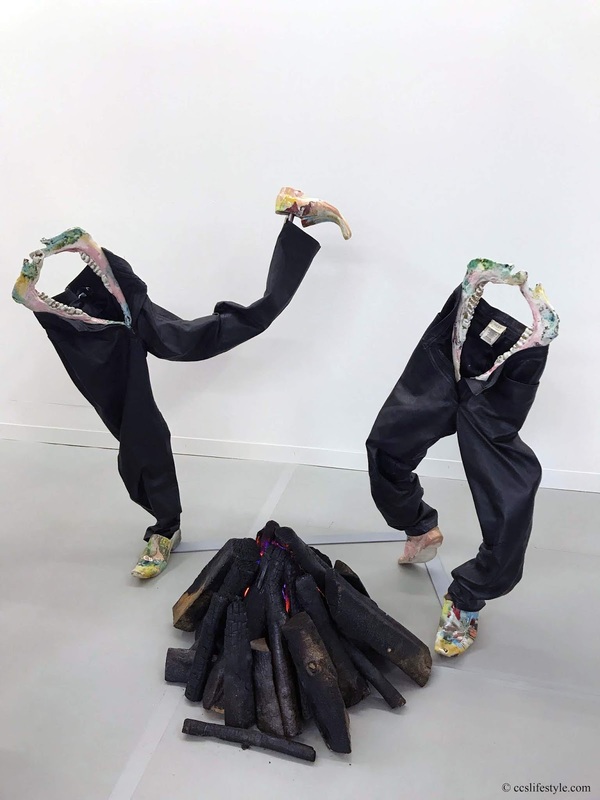 Born in 1986, José Yaque is the youngest artist that exhibits this year at the Art Unlimited. 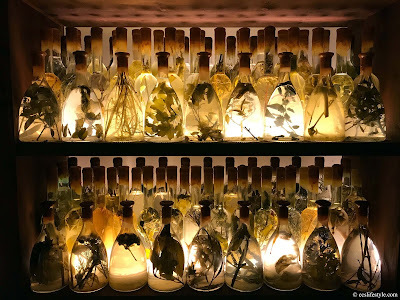 His Tumba Abierta (open tomb) looks like a library, but instead of books it is filled with many different natural elements (plants, seeds, fruits, leaves) that are put into bottles and transmuted through time. 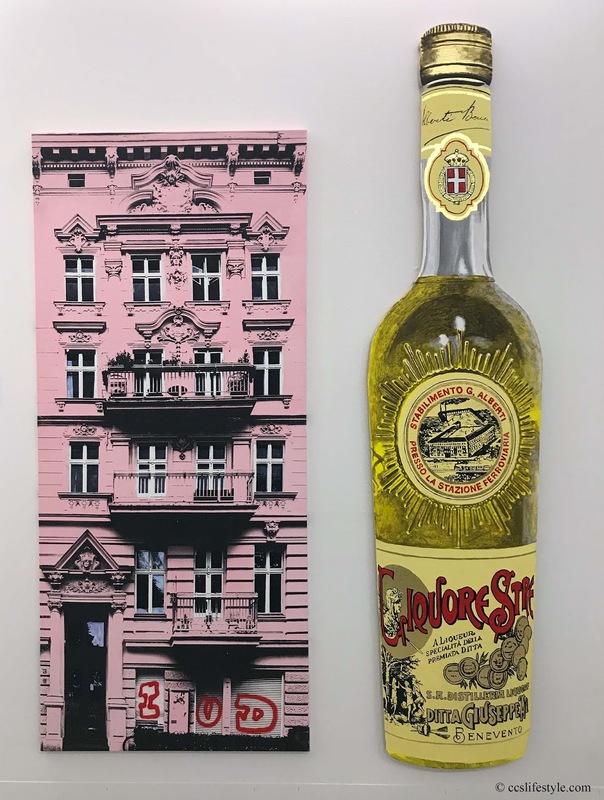 Every bottle is sealed with wax and the artist says about the open tomb that "it is an invitation to see the instrinsic beauty of the constant transfiguration that is also real in ourselves." 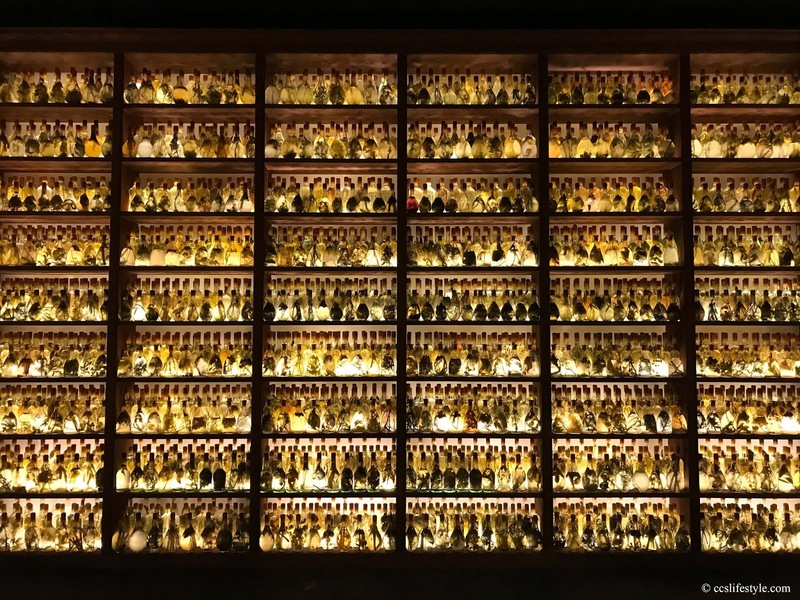 It is a beautiful installation and the warm yellow light creates a very cozy atmosphere, so you could really lose track of time in Yaque's open tomb. 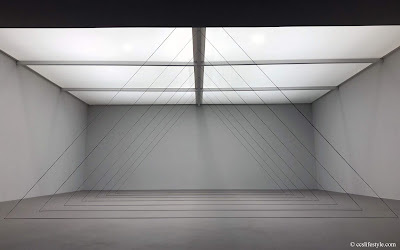 In this work Fred Sandback uses 21 strands of black acrylic yarn to form seven freestanding triangles. This is one of only two examples in Fred Sandback's work where he uses multiple repeated triangular configurations and the installation is very precise and sharp. 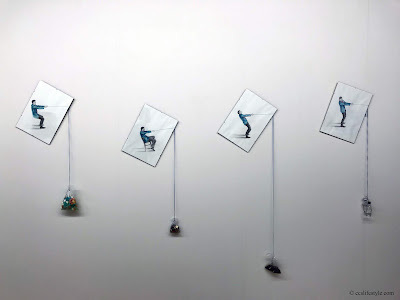 He seems to cut the space in different layers with the yarn and he shapes a form that directly interacts with the viewers "pedestrian space" as he calls it and we like how he uses something as fine as this yarn to create something so large. 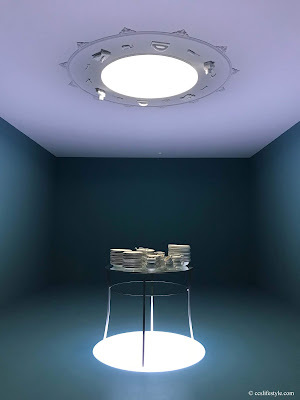 Barbara Bloom's installation The tip of the iceberg from 1991 consists of a round table that is lit from below and above. On top of the table is porcelain tableware with the logo of the RMS Titanic. 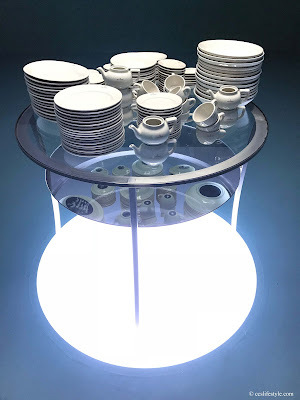 Due to the mirror that is under the table you can see, that the undersides of the dishes are printed with images from the Titanic wreck on the ocean floor. Above the table, there are copies of waste listed by the NASA as being lost or discarded in outer space. 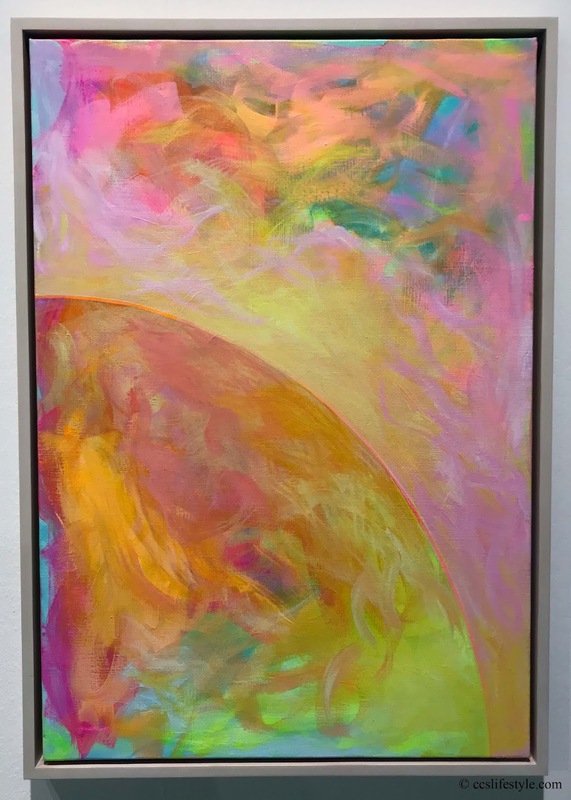 So at the same time we are confronted with something that is as far away as possible from us downwards (under the sea) and as far away as possible upwards (out of space). It makes us feel quite small in the middle and that this distance and transience is represented by such ordinary objects makes it feel even more real. 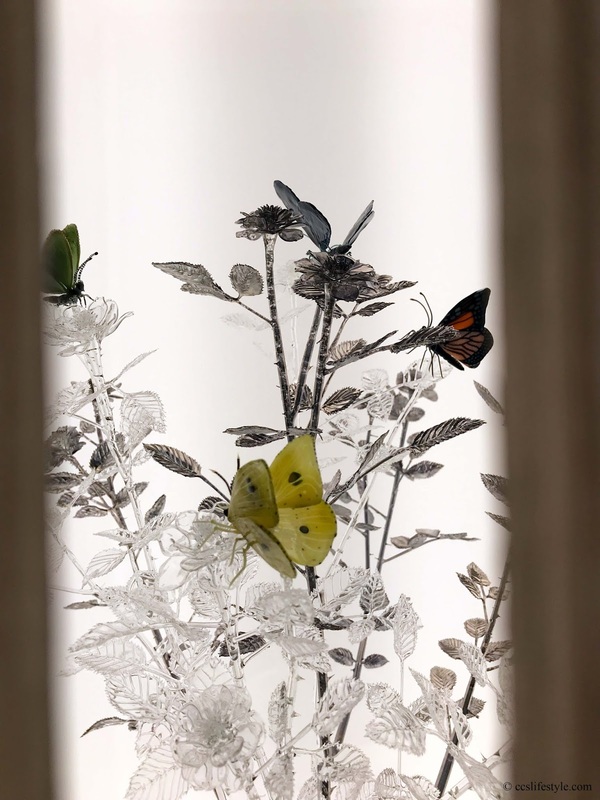 Arman's Fleurs is a re-creation by the artist, as the original artwork had to be destroyed after being shown in Nice, as the artist could not afford to store it. 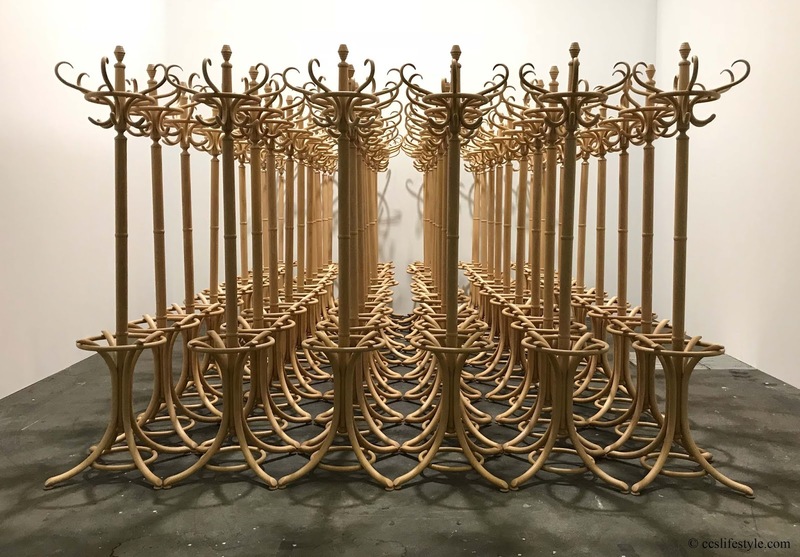 By putting sixty coat racks together in one bulk, he creates an environmental piece, he turns something ordinary into something extraordinary and with the new way you look at it, the item has a completely different meaning. 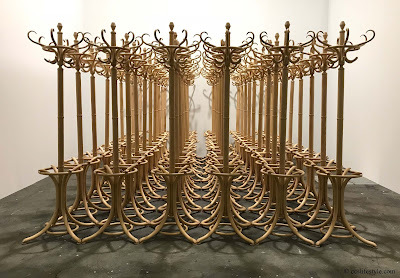 The symmetry that each coat rack gets even more noticeable when you see them all aligned so perfectly together, which adds an almost military touch to it. 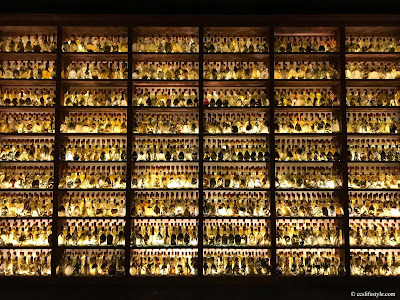 Matthew Barney's Partition is a full-scale bar, originally sculpted from petroleum jelly, that has been transformed into a monumental sculpture in cast plastic. The installation is relating to his film Cremaster 3 (2002) and is a combination of the form of a traditional Irish bar with that of a plumb level, which is one of the principal symbolic tools of freemasonry. Barney allowed the latent disintegration to begin before he casted the bar in plastic. This process of collapse is now fixated in this sculpture, which makes it very interesting to look at, as partly you can still see how sharp and perfect it used to be and partly it has melted to the ground beyond recognition. Josep Grau-Garriga is a pioneer of contemporary textile art and his work Hores de llum i de foscor (hours of light and darkness) from 1986 is a monumental fiber work. 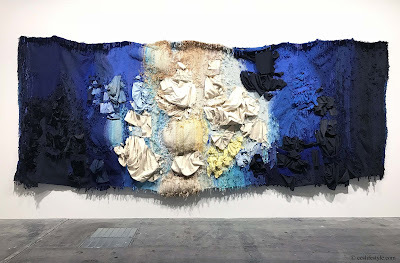 The tapestry is not only composed of cotton, wool, silk and synthetic fiber but also from clothing from his family, which makes the work very personal and emotional. The tapestry really represents beautifully the change from darkness to light and back to darkness and the longer and closer you look at it the more details you see that make the tapestry as unique as it is. Sam Giliams Untitled (2018) was conceived especially for the Art Unlimited 2018 and it occupies a whole room. Fabric in all kinds of colours are suspended from multiple points, dividing the space into a labyrinth-like series of volumes. Sam Giliams is very famous for his "Drape" works and he constantly returns to the form, experiments with new materials and compositions and proves that the medium in art does not have to be flat and on the wall. 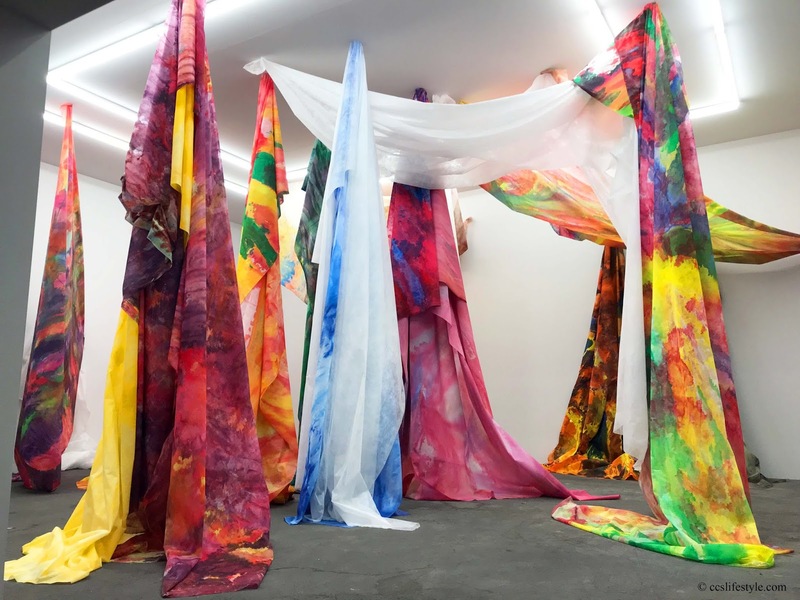 The installation has something very vivid and uplifting, and wandering through the fabrics is very intense and you can really get lost in a good way in the different colours. 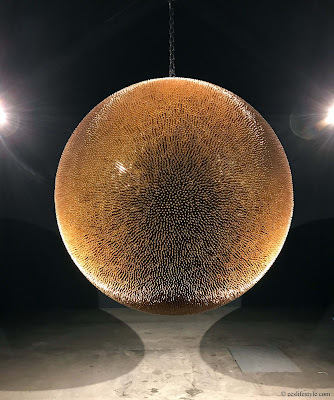 Death Star II by Robert Longo was created in response to the exponential proliferation of mass shootings in the United States and is a suspended globe, studded with 40'000 full metal jacket bullets. The work is a sequel to Longo's original sculpture Death Star and is more than twice as large with more than double the number of bullets, which also reflects the frightening increase in mass shootings in the USA in the past 25 years. Standing in front of the sculpture is very intimidating, as we are all confronted constantly with the terrible news of mass shootings, and wherever you stand around the sculpture there are always bullets pointing right at you which makes it very aggressive and impressive. 20% of the proceeds from the sale of Death Star II are donated to Everytown for Gun Safety, in order to support efforts to reduce gun violence. 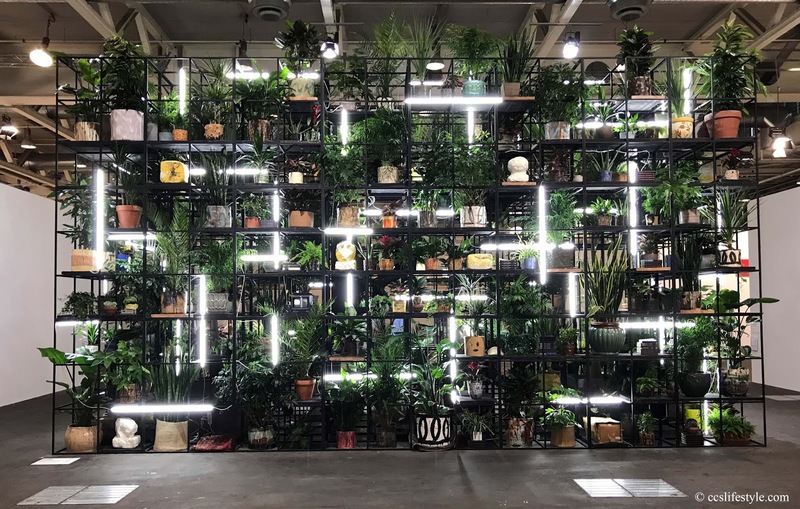 Volta that debuted in 2005 as a collaboration between dealers and friends, is Basel's art fair for new international positions and gives a platform to young international galleries. 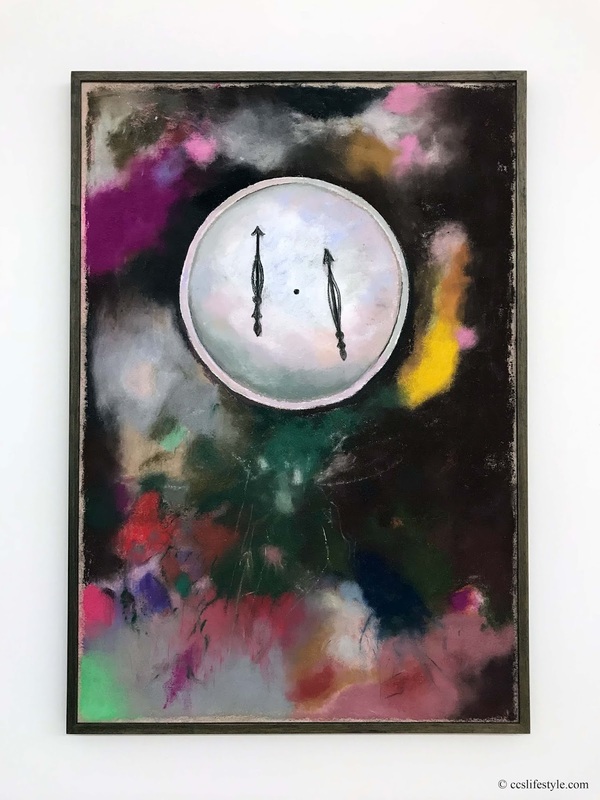 Taking place at the same time as the Art Basel and the LISTE, Volta helps the young galleries to aspire and the former COOP distribution center where VOLTA takes place is year is the perfect location for that. 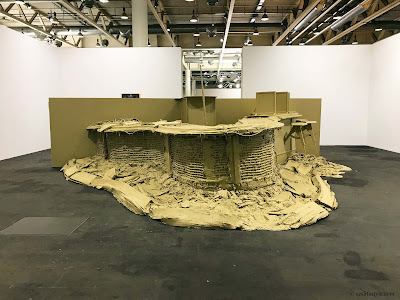 LISTE art fair Basel 2018. For the 23rd time the LISTE art fair takes place in Basel this year, and offers a platform to young and aspiring galleries to present their art. 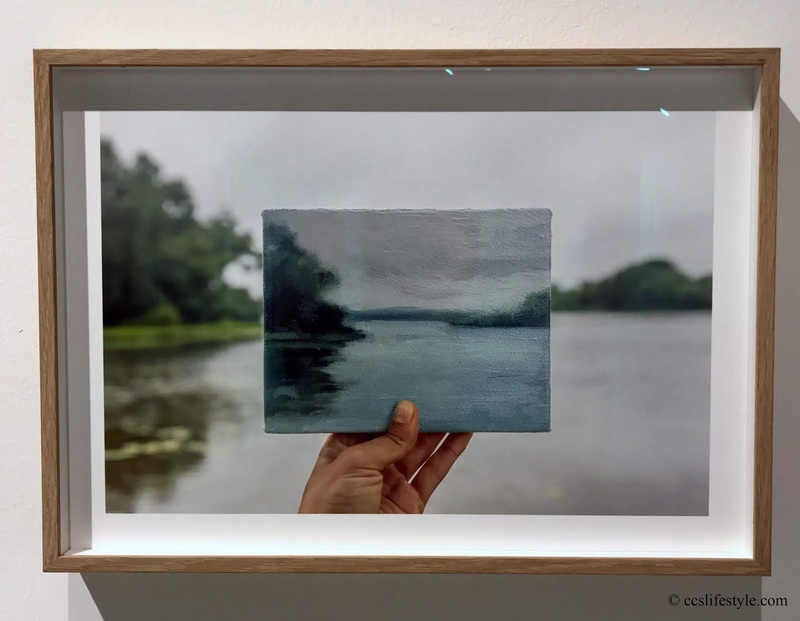 This year there are 79 galleries (16 of them show at LISTE for the first time) from 32 countries, that bring to us the artworks of more than 170 different artists. LISTE is always worth a visit, as it does not only bring to us art from the metropoles but also from regions far removed from art centers. 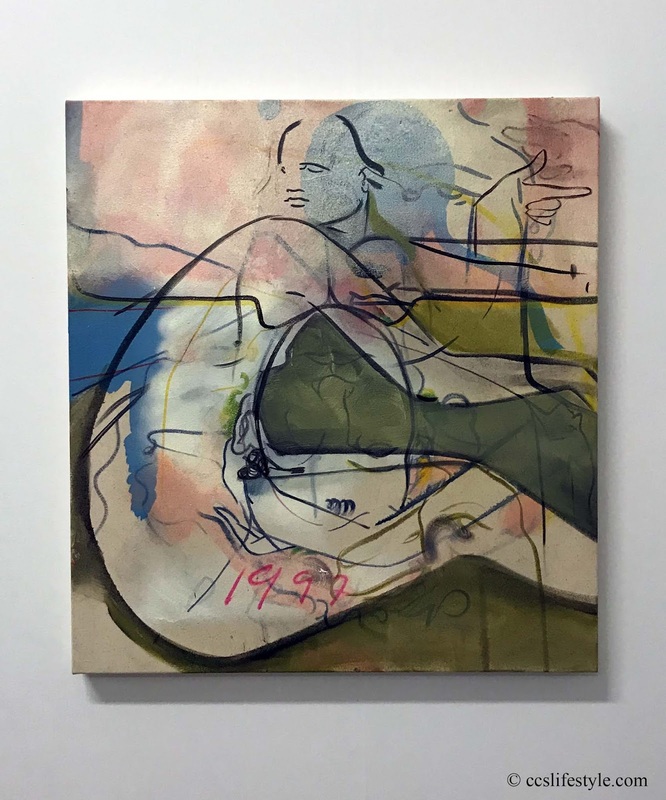 It is the most important art fair for young galleries and almost every gallery founded after 1996 which is now important in the international art scene has exhibited once in their beginnings at LISTE. This is only a very small insight in all the Artwork that can be seen at there. 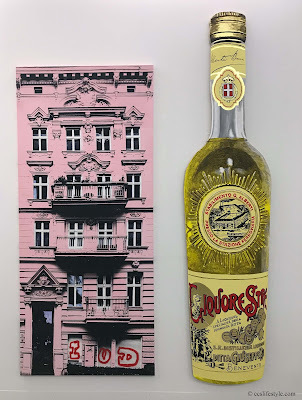 The LISTE is in Basel until the 17th June 2018. This years show "formidable" by Circus Knie was very entertaining, made us laugh, had us astonished and was filled with breathtaking moments. The Swiss comedian Helga Schneider entertained us from the first minute, the elastic man "Future Man" (Alexandr Batuev) twisted his whole body in every possible direction and the Canadian Duo 2-zen-O in two connected hoops showed us a beautiful choreography connecting their two bodies in a very artistic and at the same time sensual way. 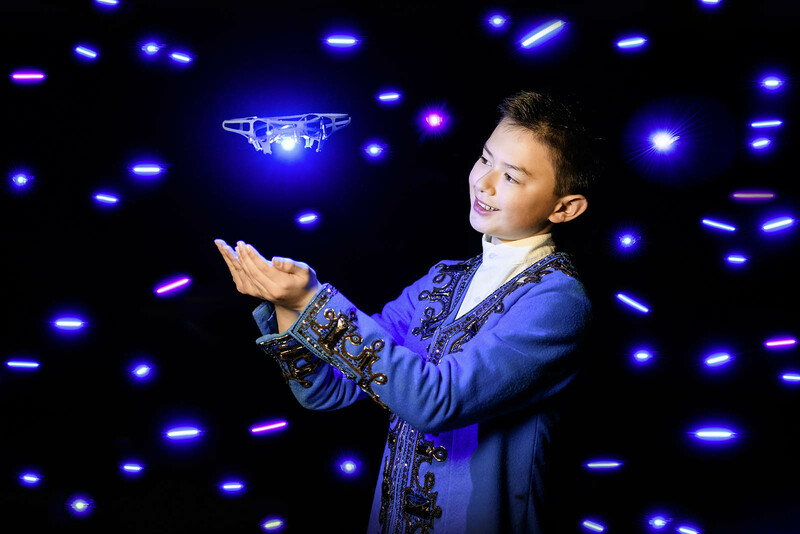 The act with the Synthetic Swarm drones was something we have never seen before, the combination of music, artistic performance and modern technology, with drones that were flying completely autonomous and in perfect synchrony had something magical. These are only some of the highlights of the show and the Circus Knie who is famous for their love for animals of course also showed us different impressive animal acts. Formidable is a wonderful show and the Circus Knie never ceases to surprise us with something new or completely unexpected. 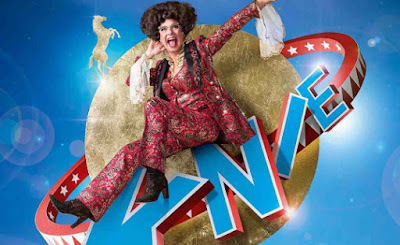 The Circus Knie tours around Switzerland until November and in the French part of Switzerland the comedian will be Marie-Thérèse Porchet.